This year marks the fortieth anniversary of the launch of China's reform and opening up policy. China Daily talks to people who have experienced or witnessed the important drive. Hong Kong's former Chief Executive, Leung Chunying, gazed in fascination at photographs showing the stunning transformation of the Pearl River Delta during the 40 years of reform and opening up. The images were satellite images of the delta showing its remarkable evolution from 1992 to 2010. "I always like to bring along these images when I'm asked to talk about China's reform and opening up," Leung said. The policy, introduced by Chinese leader Deng Xiaoping in 1978, has lifted around 700 million people out of poverty and has been the driving force of the Chinese economic miracle. Leung pointed to a satellite photo of Shenzhen, Guangdong Province, in 1992. It was almost all green, with barely a sign of urban development. Then he unfolded a 2010 image, revealing the vast expansion of the city's urban development. "Reform and opening up has urbanized China with unprecedented speed. It amazed the world and we should promote the policy to more people in Hong Kong," Leung said. Under the reform policy, Shenzhen has been transformed from a poor fishing village into one of the country's special economic zones. It will soon play a key part in the Guangdong-Hong Kong-Macao Greater Bay Area, the largest economic zone development in the world. Shenzhen's official data reveals that the city's urban development has grown from 3 square kilometers in 1979 to 934 sq km today. Leung wove his early life into the fabric of the reform and opening up policy. He dedicated himself to becoming a contributor in 1979, after graduating from Bristol Polytechnic (now the University of the West of England). Leung's studies led him into a career as a land surveyor. "I followed what the country told me to," he said. Leung's efforts put him on the front line of Shenzhen's early development. He also played a role when Shanghai embarked on China's first urban land reform in the 1980s. There was no pay, no remuneration. Occasionally he would get some grain coupons, a replacement for cash that could be used to buy certain foods on the Chinese mainland from the 1950s to 1993. "Now looking back, I found the experience interesting and meaningful," Leung said. He acknowledged that his involvement in the country's urban land reform proved one of the two most important turning points of his life. Leung gained expertise in valuation and estate management, much of it from working on Shenzhen's urban plan. He was invited to share that expertise and his knowledge of Hong Kong's land policy with Shanghai officials in June 1987. He gave a one-hour presentation, but when he was getting ready to go he thought of something else. "We just discussed theories. What if problems occur putting theories into practice?" Leung recalled asking the local officials. "It was Shanghai's first time in land leasing." Leung persuaded the Shanghai government to send three officials to Hong Kong in early 1988. Together, they set up in a low-budget hotel, writing out by hand the tendering documents for China's first international land lease. In addition to compiling the lease document, Leung also translated it into English. "We had no access to the internet, nor would we use a computer to type. We called Shanghai officials to inform them of the contents and amended the documents according to their suggestions," he said. "It was energy-consuming. But I told the Shanghai officials that we were writing more than bidding documents. We were writing history." It took the group 20 days to finish the tendering document. The last working day saw just two paragraphs left to be translated into English. Leung invited the team to go on a Spring Festival shopping spree. He was surprised when the three Shanghai officials declined. "They said they would not leave until the work was finished," he said. "And in the end they didn't do any shopping. "It struck me the most. Our country became strong for a reason. People, like the team I worked with, are committed to the country and to working diligently toward progress. That is part of the reason." 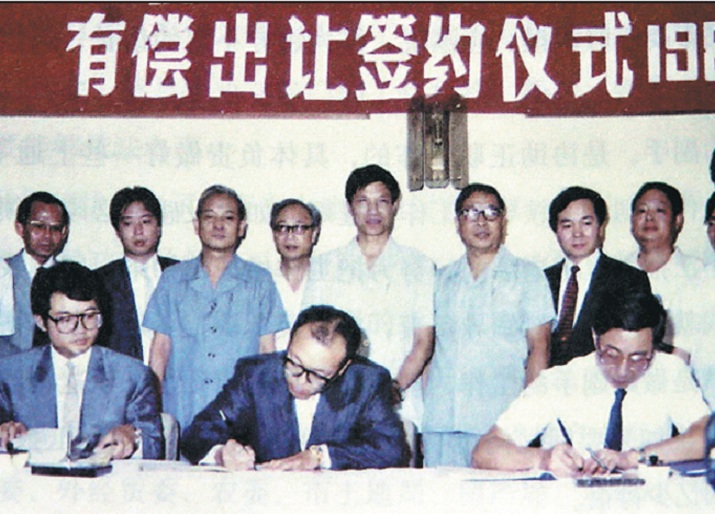 On March 22, 1988, Shanghai settled the nation's first international tenders for a land lease. A 1.29-hectare plot in the city's Hongqiao district was leased to a Japanese real estate developer, marking the opening of China's land-lease market to the international community. Leung never runs short of anecdotes about Hong Kong's involvement. In his eyes, the city's role changed as reform and opening up gradually moved forward. Hong Kong started by providing jobs, then channeling capital and technology. Today, it has become the place where mainland and foreign enterprises gather to work out deals. "At the beginning, Hong Kong brought job opportunities to the vast mainland labor force," Leung said, referring to the time from 1979 to the mid-1980s, when the policy was in its early stage. During that time, the "three-plus-one" trading mix was prevalent in Guangdong Province. It involved assembly work, making products based on provided samples, processing supplied materials, and compensation trade. Guangdong was one of the first two provinces approved by the Central Government for direct foreign investment. Fujian was the other. At the same time, Hong Kong's manufacturing industry experienced a boom. 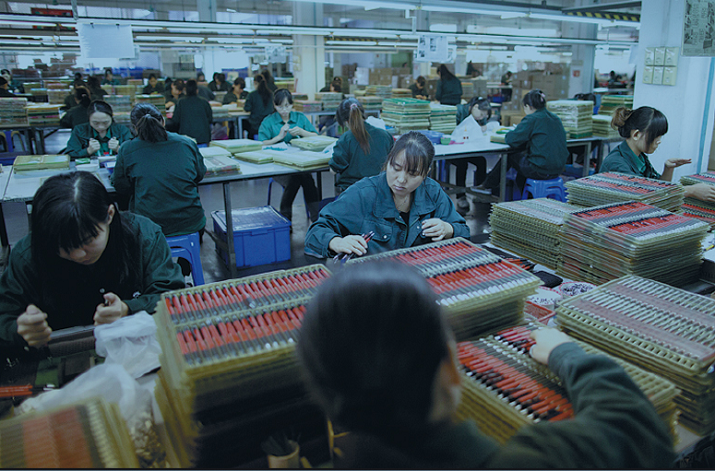 The skilled but inexpensive labor force and the proximity to Hong Kong drew manufacturers to Guangdong. "When I lined up at the Lo Wu border in 1979, I noticed that many people held bags of semifinished products, like tailored clothes that needed further processing," Leung said. Data from Hong Kong's Financial Services and the Treasury Bureau show that the city's manufacturing industry began shrinking around 1990. The number of enterprises engaged in manufacturing fell from 49,135 in 1990 to 26,536 in 1997, the year Hong Kong returned to the motherland. Hong Kong's manufacturers moved their factories to the Chinese mainland. The city shifted its role and became the key source of investment capital. July 15, 1993, saw Hong Kong's role in reform and opening up experience another change, with Tsingtao Brewery becoming the first mainland company to list on the Hong Kong Stock Exchange. "Hong Kong served as a capital pool, capable of satisfying the brewer's thirst for 900 million yuan ($156 million at the time)," Leung said. He added that role was soon to change, with mainland enterprises growing stronger as reform and opening up evolved in new areas. "Now, Hong Kong is a two-way springboard, assisting mainland enterprises to go global and helping foreign companies seek business in the mainland," Leung said. Hong Kong Monetary Authority data show that over the past four decades, Hong Kong has accounted for 50 to 60 percent of all overseas direct investment flows to the Chinese mainland. The data also show that the mainland's outward direct investment reached $196 billion in 2016, with around 60 percent being invested in Hong Kong or channeled to other regions via the city. Leung, now Vice-chairman of the National Committee of the Chinese People's Political Consultative Conference－the country's top political advisory body－still actively responds to the country's call for a deepening of reform and opening up. Besides organizing events in Hong Kong reviewing the achievements gained through the past 40 years under the policy, Leung places equal weight on the Belt and Road Initiative. He sees the Belt and Road as the natural extension of the reform and opening up policy, opening a new era. "The Belt and Road Initiative emphasizes cooperation," he said. "We go out. We welcome friends from abroad to come in. That requires an open market that can be achieved through progressive reform." Under the program initiated by Deng four decades ago, mainland cities like Shenzhen and Shanghai have seen robust development. 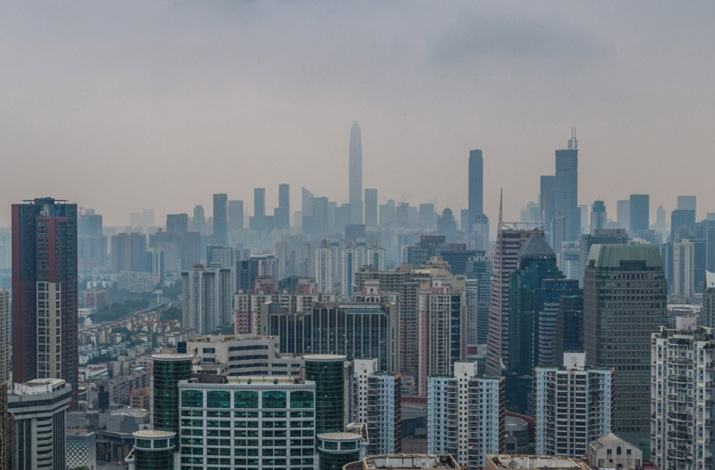 Shenzhen's GDP exceeded Hong Kong's last year, while Shanghai is on course to become a global financial center in 2020. "Hong Kong is facing challenges. The challenges lie in whether it can make timely adjustments to meet the country's development needs," Leung said. "The special administrative region should be well-informed about what the country needs from it and pick up roles that best suit the country's development." Leung added that assisting the internationalization of the yuan and contributing to healthy financial development are two possible options for Hong Kong. "But I am upbeat about Hong Kong's future performance in the country's reform and opening up," he said. "After all, it managed to reap fruits during its role transformation in the past 40 years." Throughout his participation in the country's journey to become more open and inclusive, Leung has been a keen follower and an earnest promoter. He remains on that path, making Hong Kong a contributor to, and a beneficiary of, reform and opening up－a mission he will carry on steadily and firmly.